the Paper books often predict death, but die they do not intend to, and only brought to readers in a slightly different way – three-dimensional, which fuels the interest in such works. The combination of literary genius and exceptional skill of the Illustrator, makes it easy to forget all leads in the aesthetic ecstasy. Each spread of these masterpieces volume happy wonders, and tale seems to be alive. 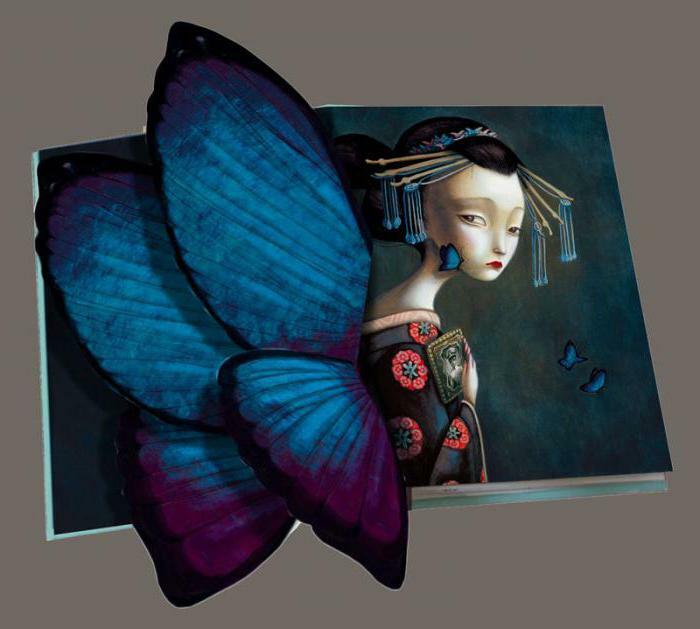 Benjamin Lacombe, spectacular work which is exhibited in many galleries in the world, simulates a small theatrical performance. Original illustrations enliven famous characters and delight not only the kids but also their parents. The author of the mystical work, it is flattering when it is compared with the directed by T. Burton, however, he believes that they have a completely different style. Two talented artists have in common "dark", but very colorful worlds. a Handsome Frenchman, has become incredibly popular, was born in 1982. He learns the basics of their future profession in Paris, but simultaneously engaged in creative projects. At the age of 19 talented student of the school of decorative arts publishes comic books, and later writing a thesis – a children's tale called "cherry and Olive", which creates colorful illustrations. In 2007, his work comes out in America and ranked in the top 10 best children's books of the United States. the French Illustrator Benjamin Lacombe, dreams magic created by T. Burton and disney cartoons, believes that books for children need to do better than adults. He made a revolution in book illustration, and brought the creation of three-dimensional works in art, because the main thing in them – the visual range. Open this book and you find yourself in is made in 3D-format story, made of paper. Benjamin Lacombe creates simple designs and technically complex three-dimensional turns for children's books by order of the international publishers. Mystical illustrations bring to life the dreams of every child – to touch the magic, and the little reader who loves colorful images, enters the world of your favorite heroes. today feels the world, the artist, received recognition from leading publications, has illustrated over eight books. "Madame butterfly" was published in a large A3 format. It is a book with ties, on thick paper, folded like an accordion. 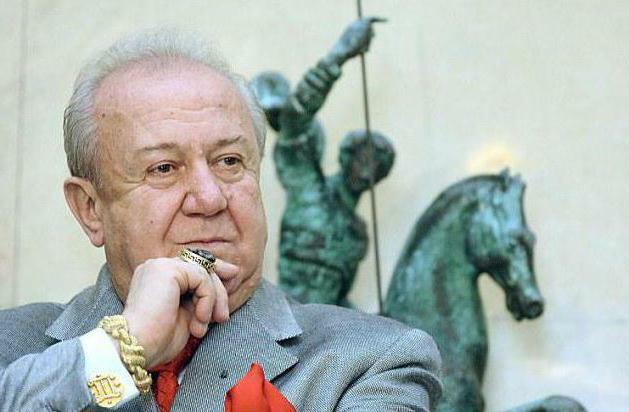 It is surprising that on one side of the printed text and full-page illustrations, and on the other – a giant figure, larger than nine meters! In the book, "Herbarium of the fairies" Benjamin Lacombe, acting as a co-author, uses unusual carved leaves, through which readers look huge eyes and a very sad girl. A work written in the form of a diary, tells the story of Russian botany, falling into a magical forest in search of the elixir of immortality. From this moment begins the story of the mysteries of the magical world. In 2011 he published the wonderful the Grimm brothers "Snow white" with illustrations by the master, which originally depicted the eternal theme of good and evil. Tale "Undine" has long attracted talented author: "This book – the dedication of the love that has always been with me and kept me from the abyss in the world of stormy passions." Readers wonder translucent sheets of paper with drawings made in a special technique. It's not just the illustrations, and weightless haze, creating a memorable 3D effects when overlaying on the page. 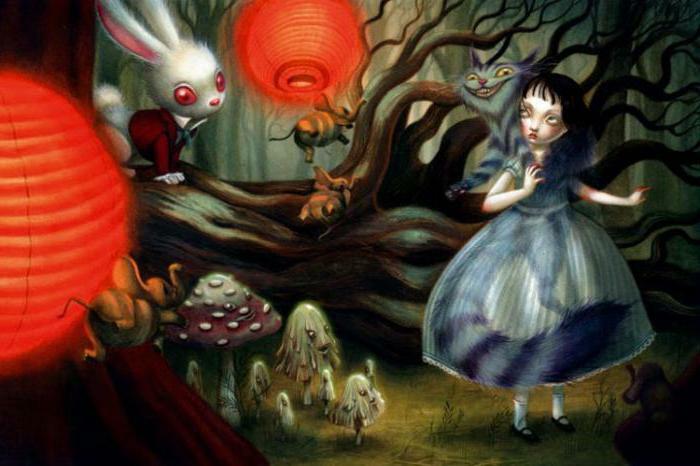 From an early age he confessed his love to E. and L. Carroll adored fairy tales and mystical stories by Benjamin Lacombe. 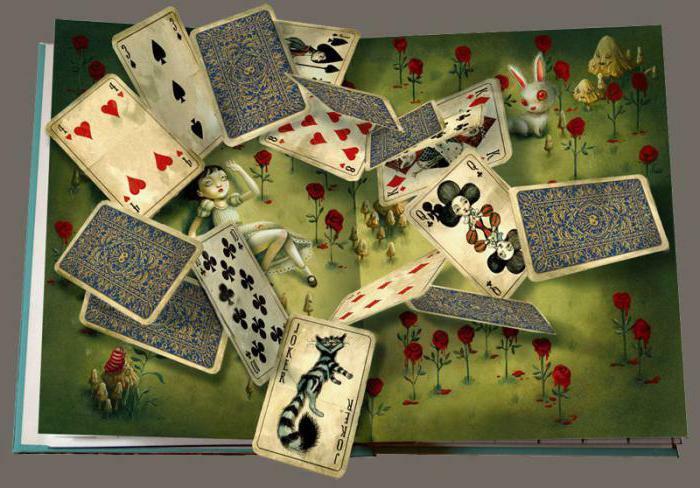 "Alice in Wonderland" is his most beloved book and the genius was happy when the publisher offered it to him to make illustrations for the novel, which marks 150 years since first publication. Captivating the brevity of his work, wading to the soul, and the special psychological compositions. 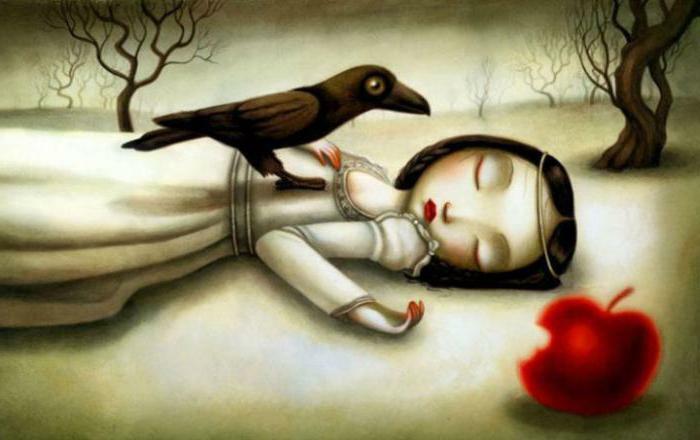 Benjamin Lacombe has an individual style, very recognizable, with a hint of sadness and drama. His calling card is the image of young girls with delicate features, high foreheads and big eyes. The magic in his hands takes on a whole new meaning and deep reveals. three-Dimensional books of Benjamin Lacombe, each two-page spread which pleases the miracles surprise stunning pictures that fit into the concept of the so-called Gothic beauty. Mystical, sad and at the same time stunning illustrations that give birth to inspiration, coupled with innovative approaches to the design of the book cause a storm of delight of loyal fans. 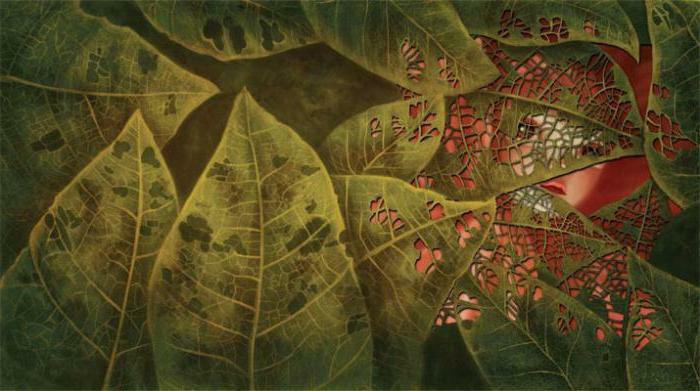 Their hits that the master of "dark" painting uses transparent pages with colorful drawings, imposed on them a huge u-turns, delicate leaves-illustration. Artist Benjamin Lacombe, whose works are in private collections and museums, and for two years worked on the creation of illustrations for the novel by Victor Hugo "Notre Dame Cathedral". As recognized by the author himself, it is a very long project. 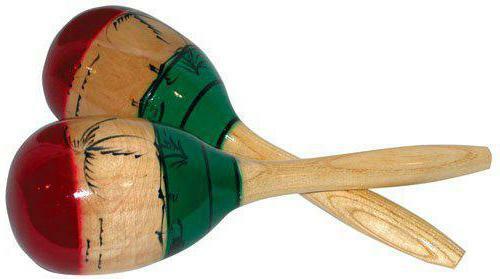 most Often, the wizard works only with three colors, giving a dark, but romantic, combined, – green, black and red. He says that it is only the asceticism allows him to push the boundaries of creativity. Wherever there came a genius, creating a three-dimensional book, everywhere lined up a long queue for autographs, acclaimed master. The Frenchman, signing artwork, making memory and a small figure to his fans.